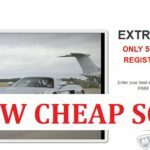 6 Figure Method Scam Review - Horrible Scam Exposed! The 6 Figure Method is a new scam software in the binary options trading market. This is, in fact, one of the most horrible scams that I’ve ever came across. The binary options trading sure is getting a lot of attention presently, that is why these scam software have been on the scene lately. Well, to begin with, this software i.e. the 6 Figure Method, is completely a wastage of money as well as time, as it doesn’t really work at all. 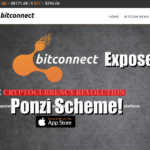 The software is actually a bogus one, created in order to trap traders and cheat on them by taking away their money that they will invest in the software. That’s how the scam softwares have been scamming the innocent traders for a very long time. Anyways, the traders have really been confused regarding the software on some few terms. Well, the software is really a scam for obvious reason and here in this 6 Figure Method review, I will provide you all the details regarding the software on why it is a scam software. 6 Figure Method Scam Exposed! 6 Figure Method software is allegedly an automated software. It is supposedly a very efficient tool for binary options trading. 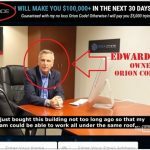 The software had made claims to have been able to make a profit of $2,76,000 a year with an initial deposit of just $250. Also, the software also promises to provide a number of good things that anyone would admire and also would love to have it in their lives. Well, these are all fake claims and promises that are been foretold. There is nothing true about the software that would be so important, so don’t just stress on believing what it says to offer. 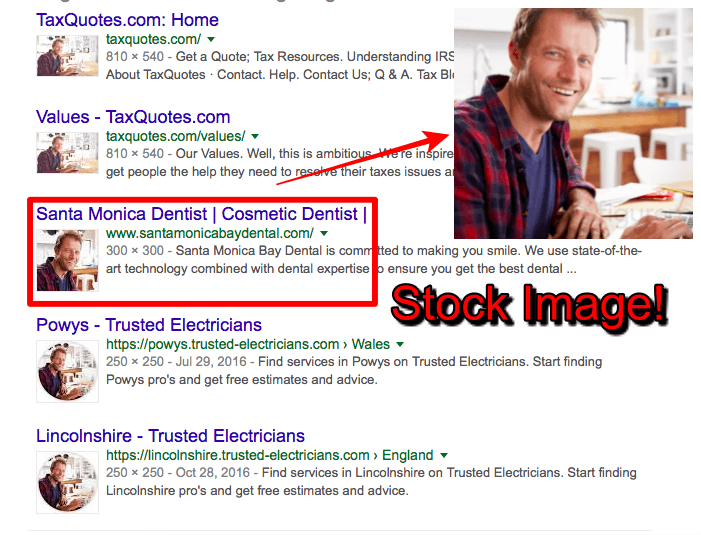 The promotion of 6 Figure Method has been done by a stock photo, who has been named as Ray Fisher who is shown bragging on regarding the software. The scammers had done a great promotion regarding their scam software and also had done everything that would seem real but ultimately that is nothing at all. He is allegedly the developer of the software, but nothing much has been revealed about him in the official website neither in the presentation video. We were not able to find a single word about Ray Fisher on Forbes (claimed in the pitch video). Even, We were not able to find a single piece of information about him from any social networking site. It is just a trick to attract the traders towards the software and nothing else. The software does put a lot of effort in lying regarding its efficiency, but let me tell you do not fall into their trap trusting on this. After researching for a while about Ray Fisher, we found that it’s just a stock photo which is stolen from web. The 6 Figure Method Algorithm: Not Existing! The algorithm of the software is missing. This is something that every software needs in order to run properly, but nothing such has been revealed or talked about throughout the whole video presentation of the software neither on the official website. So, as you see, it is pretty clear that it cannot be trusted in any possible ways. Seriously, 6 Figure Method is one of the worst scams of all. The traders should really be aware of the fact that this kind of scams can really make you lose a lot of money. Actors Involved: Only $5 for a testimonial video! The woman who is featured in the video for testimonial regarding the software is also an actor hired from fiverr.com, which is a website where professionals can be hired from in a fixed amount of price that every individual have. The lady surely do serves the purpose well, as it was her only job in the software to lie regarding it. The women went on saying only good things regarding the software. She also adds a lot of things like how this software has changed her life totally, but these are only lies. There is nothing true about it. The lady in the video has been hired by the real scammers behind the 6 Figure Method software, to lie about the software in the video, so that the traders would watch it and believe in what she says and like her, they too would invest their money and earn a good amount of money with the help of this software. Also, scammers nowadays go for this kind of tricks as they know in some way or the other, there will be someone who will fall into this trap and help them in earning a good money by cheating on the person. That is the main intention of the software and also the scammers. Trust me, this is just a trick to attract the people towards the software but in reality, it is nothing. This is another reason why this software should be avoided as the software is nowhere to be found in real life. Verdict = 6 Figure Method Is 100% Scam. Avoid It! Stay away from 6 Figure Method software, the software doesn’t really exist in reality. It would be of no help if you choose to invest money on it. In fact, you would definitely lose that amount of money if you use this. The software has done a lot of hard work but ultimately had failed in proving its point on being a legit platform for binary options trading. The scams would do everything that is in their possession to attract the traders into getting investment in their software but it is up to us, on how we choose to do with our money. There are a numerous scam software on the internet, that are ready to make a fool out of you, but if you think logically and also if you investigate regarding it, then you will find out the truth about that software. Be safe, always use your common sense and stay away from this kind of scam software. 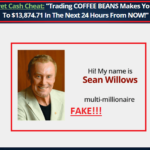 Zen Trader Review – Confirmed Scam Software! Avoid It! 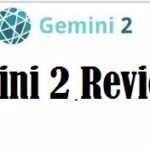 Thank you for your review it really helps.